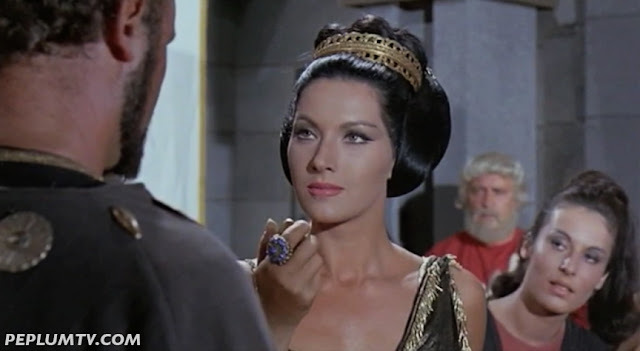 Helga plays the sister of Assur in this fun, colourful PEPLUM directed by Domenico Paollela. I think Helga is one of the unsung beauties of the PEPLUM genre. She was really striking in her youth. I read somewhere that Helga was asked about her old films and she was confused that people still remembered them and laughed about it. She clearly had moved on in her life, which is fine, but it's sad that most PEPLUM stars don't seem to care much about the genre.